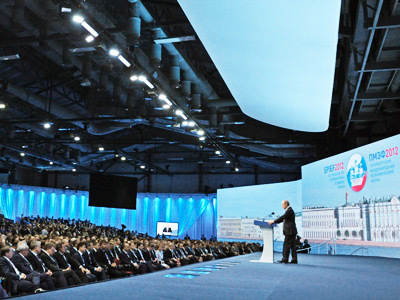 The three-day international forum in St. Petersburg has once again proved to be a fertile ground for sowing the seeds of cooperation with the total value of agreements signed reaching $11 billion dollars. ­The forum brought together participants from roughly 50 countries. The event was attended by more than 5000 people from 87 countries. Over 30 countries were represented at the ministerial level. This year's forum has broken last year’s record in both the number of deals signed and the amount of investments attracted – 84 agreements worth $11 billion against 68 deals worth $10 billion in 2011. The record in terms of the contracts signed was set during the last pre-crisis forum, in 2008 which produced $14.6 billion in deals. Though most of this year’s contracts were the so-called deals of “intent”, 13 "solid" contracts were concluded for the total sum of $5 billion. 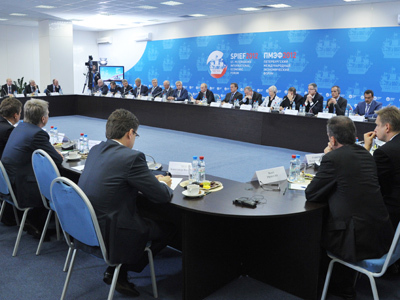 The core deals were signed in the aviation, energy, and banking sectors with the biggest worth almost 60 billion roubles, with bulk of the contracts were signed in the first day of the forum. 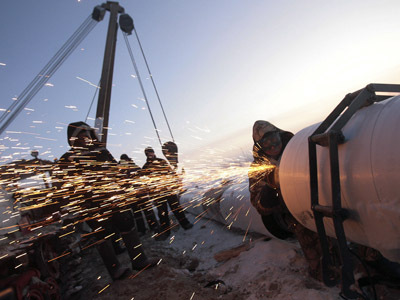 Among the largest contracts was a loan agreement for the 120 billion roubles (roughly $3.6 billion) Western High Speed Diameter (WHSD) project, signed between the Northern Capital Highway and a syndicate of banks comprising VTB Capital, Gazprombank, State Corporation Bank for Development and Foreign Economic Affairs (Vnesheconombank), European Bank for Reconstruction and Development (EBRD) and Eurasian Development Bank (EDB). In the aviation sector Russia's second-biggest airline Transaero has signed an agreement to buy four Airbus A380 superjumbo planes worth $1.7 billion at list prices. 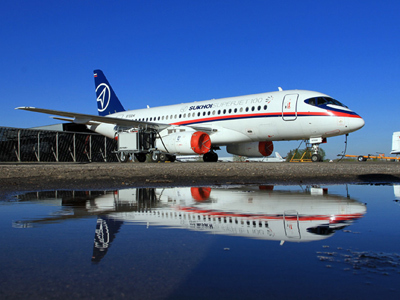 Transaero also agreed to buy six Sukhoi Superjet-100 planes, with deliveries in 2015-2017, worth $212.4 million, and signed an option to acquire 10 more. In the oil and gas sector Russian oil giant Rosneft also signed a series of agreements including the deal with Statoil on joint efforts in Russia and on Norway's shelf. The two companies agreed to work together on tenders for the development of fields in Norway. This agreement involves securing licensing in the Norwegian part of the Barents Sea and a technical evaluation of hard-to-recover resources in Russia. The gist of the agreement is that a Rosneft subsidiary to be registered in Norway will get 33.3% of a Norwegian shelf development project. Earlier, Rosneft chief Igor Sechin had said that deposits of "difficult" oil could be located in Western Siberia and the Northern Caucasus. Rosneft has inked an agreement with Eni to create a joint enterprise for projects on the Russian shelf of the Barents and Black Seas. As part of this agreement, Eni is obliged to finance minimal licensing commitments on "carry" conditions. In addition, for each of the projects, Eni will compensate Rosneft for 33.33% of the license acquisition costs. Rosneft has borrowed as much as $3 billion for five years from banking group VTB as it develops Russian projects with Eni and Statoil. In the banking sector Sberbank of Russia and HSBC Bank signed a Framework Loan Agreement for $2 billion to provide Sberbank with short, medium and long term trade finance advances including advances to be covered by Export Credit Agencies. The first deal under the Framework Agreement has become a 1-year term, trade-related bilateral loan for $100 million granted to Sberbank by HSBC.